Gameplay elements both on and off the blockchain. Tons of outfits to collect! 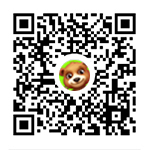 BB Bear is both the first mobile game based on blockchain technology to be launched on Ethereum and the first digital pet game to be fully integrated with blockchain technology. Welcome to join QQ group to participate in the discussion.